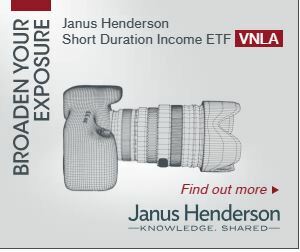 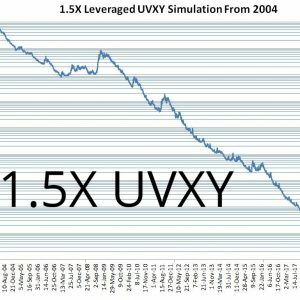 TVIX is a 2X leveraged long volatility fund offered by VelocityShares that is based on short-term VIX futures (1st & 2nd month). 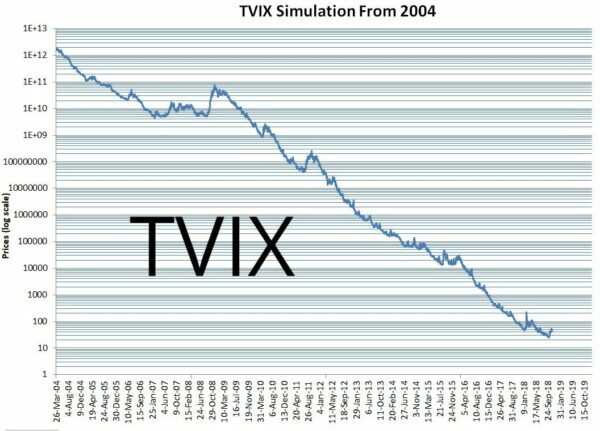 TVIX started trading in November 2011 so there is no market price data available before that (e.g., during the 2008/2009 market crash). 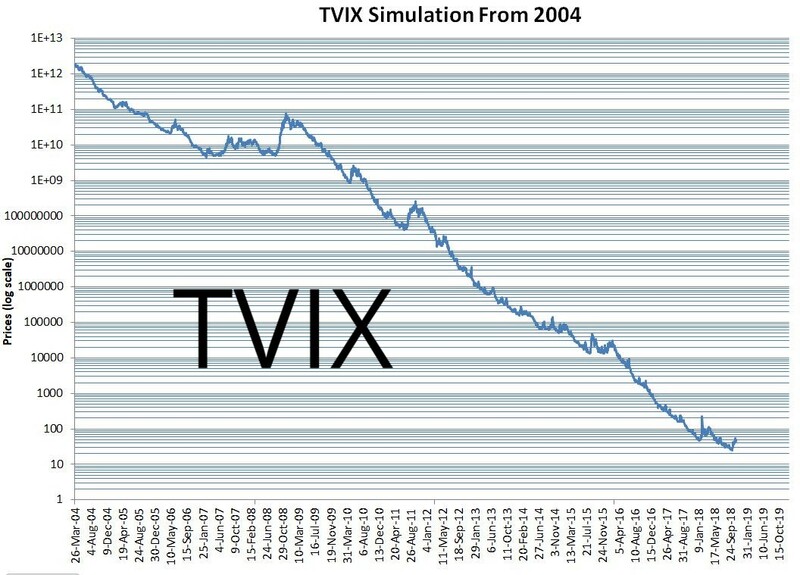 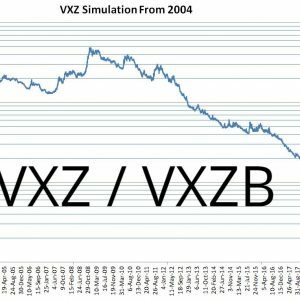 This simulation shows TVIX’s simulated end-of-day closing price from March 2004 through October 2018. 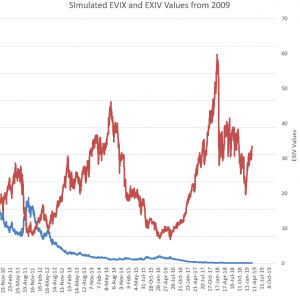 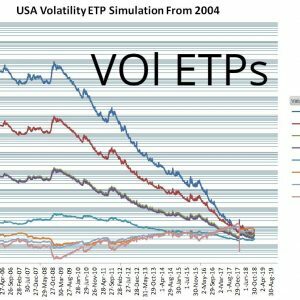 How Well Does TVIX Track The VIX?